October 25, 2018 – Calgary A.B. New Horizon Mall is holding its first Halloween and Fall Festival this Saturday, October 27 from noon until 5 pm. 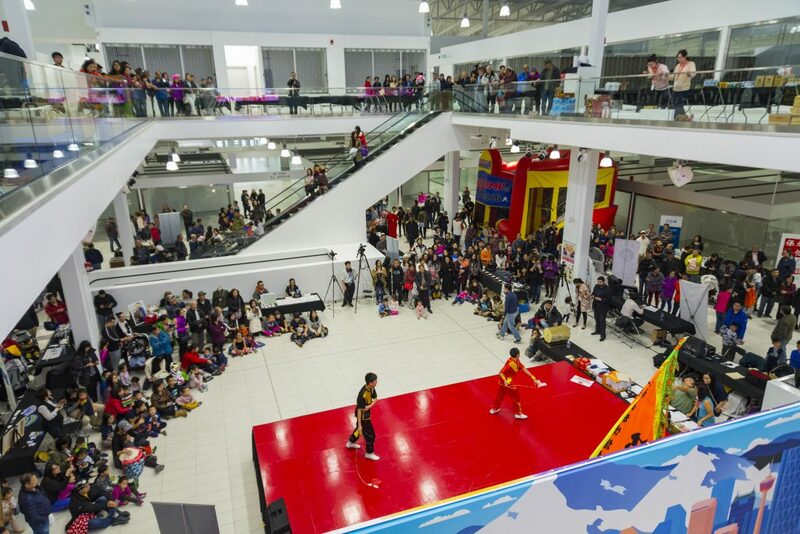 Not a typical mall, New Horizon Mall’s Halloween Festival will have free gift baskets for the first 200 kids, Kids Play zone, a Pumpkin Painting Contest and Lion Dancers, Bollywood dancers and Flamenco dancers on it high tech Main Stage. New Horizon Mall is the city’s international shopping destination, offering a culturally unique shopping experience (list of stores below). New stores have opened up at the mall which offer upscale culturally diverse stores, owned and operated by creative entrepreneurs and set in the beauty of a contemporary upscale mall. Admission to the Festival is free. Performances start on the Main Stage at 12:30 pm and also feature Korean and Filipino cultural performances. The Kids Play Zone will also feature Twisted Balloon Clown, face painting and bouncy castle. There will be a Farmers Market, Lucky Draws, Photo Booth, Food and Beverage Booths and Arts and Cultural demonstration booths. With its high tech Main Stage providing video capture, live streaming on a big screen and sound system, New Horizon Mall is attracting shoppers as its Mid-Autumn Festival and Eid Festival recently saw more than 3000 people per Festival. Photo caption: Large stage with video streaming at New Horizon Mall during the Mid-Autumn Festival. New Horizon Mall is the first shopping mall in Alberta where stores are bought and owned, instead of being rented. Unlike other malls which are occupied primarily by large corporations and chains, New Horizon Mall is a collection of small businesses, family enterprises and local entrepreneurs bringing unique products and services to the Calgary region. New Horizon Mall is about fun, food, entertainment and shopping. This weekend’s Festival is for the whole family. The mall’s high tech Main Stage, with its live video streaming and big screen projection and the mall itself is perfect for festival celebrations. Providing a wide-range of multicultural events adds to the diverse shopping experience. Existing stores open for business today include Koreana B&H, unique facial beauty products from Korea; Silk Road Importers, men and women’s undergarments; Eye Optix, optometrist for glasses and contacts; Print Genic, printing and graphic design services; National Neon, mall signature services; Trend UP!, facial care, accessories and teeth whitening; Kase Gallery, cell phones and accessories; DM Jewelers, jewelry and accessories; Just Juniors, children’s clothing; Perfume Boutique, perfume and cologne; and Connect Bell, cell phones and accessories. New stores now open or opening in October include: Trustic, rustic home décor; K-Mobile, cell phones and accessories; Dream Design & Décor, unique handmade décor items; Massage Heaven, massage services; Zeek’s Gadgets and Gizmos, gadgets and accessories; Vedic Tea, tea shop; and Cellniche, cell phones and accessories. New Horizon Mall is open daily from 12 pm to 8 pm. Interested groups can inquire about holding events as its high tech Main Stage offers live video streaming to a gigantic video screen and no venue fee. The main stage is specifically designed to match the unique shopping experience with culturally distinct forms of entertainment, events, holiday celebrations and fashion shows to be organized year-round. New Horizon Mall is 20 minutes from downtown Calgary and directly across from CrossIron Mills in Rocky View County. The mall has unique stores, an entertainment stage and a food court with room for 300 shoppers. Tailored to Calgary’s sophisticated market, the malls visionary retail experience, proven in major markets throughout the world, offers exotic colourful allure of an international mall set in the comfort and beauty of a sublime, contemporary upscale architectural masterpiece.